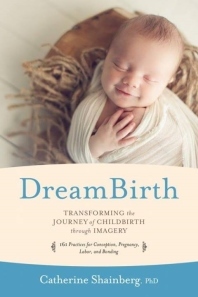 The DreamBirth Audios (Conception, Pregnancy and Labor) in English are available in CD or mp3 format, and will soon be available in Russian in mp3 format. “The imagery work is invaluable. I was able to work through blocks that I had from my previous experience, the caesarean. In this pregnancy, and I have no doubt that the imagery helped enormously, I had a correctly positioned baby who descended very quickly and perfectly.” —Judith R.